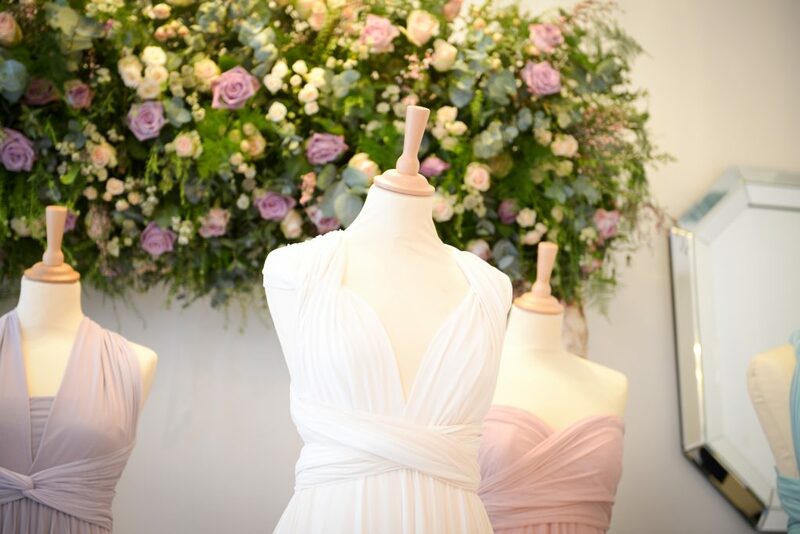 We’re long-term fans of twobirds at Larry Walshe HQ; their beautiful dresses can be worn in practically any style (handy when you’ve got a troupe of indecisive bridesmaids!) and are available in a rainbow of colours. We love the way the fabric flows and swooshes, and to be honest we didn’t think it could get any better… until the team got in touch to tell us about their new Tulle collection! 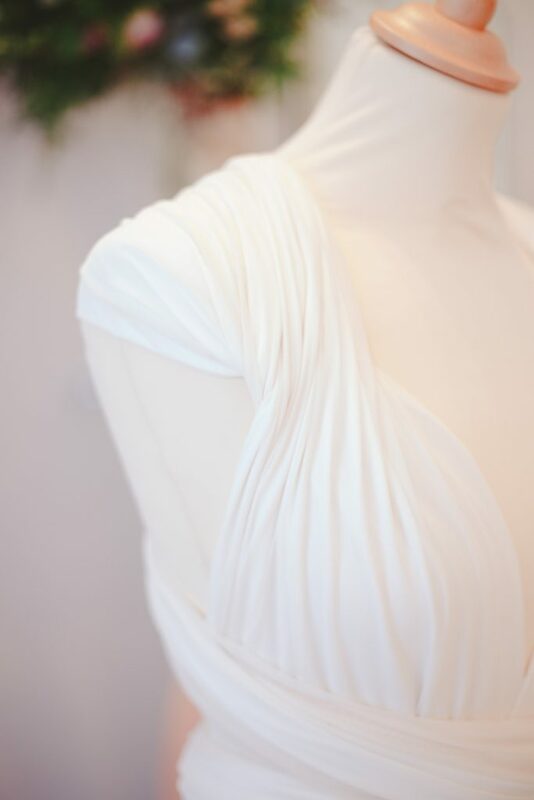 The soft new fabric is romantic and floaty, and just perfect for summer weddings! Available in knee and floor length styles and in a delicious range of new colours from powdery pastel lilac, petal, powder blue and seafoam to the tougher midnight and black – there’s even a range for your mini-maids too! Our challenge was to colour-match the predominant new colours into a fabulous scheme that would bring the new collection to life at the press-launch in the Covent Garden, London showroom. 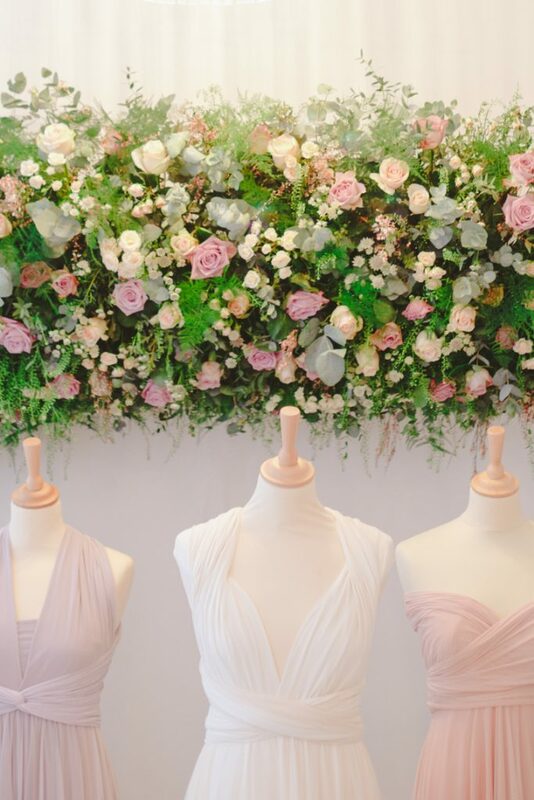 We absolutely love a challenge so used a textural tapestry of cool water roses, scented O’Hara roses, spray roses, eucalyptus, White astrantia & thlaspi, we delicately included tones to reference each of the new fabulous dress colours and create a luxurious and innovative design that filled their chic Covent Garden, London showroom with colour and scent.